New Delhi: Nirvana Being, a pioneer in innovative products and solutions for protection against indoor and outdoor air pollution on Thursday announced the launch of idMASK2 for adults and kids. "We are well aware of the state of the air quality in India, in our urban environments. The highly elevated levels of nanoparticles called PM2.5 make it very risky to engage in active sports. When we are active, not only does the volume of inhaled air go up, but we pull the pollutants deeper into our lungs, which create health risks. "We all know the importance of sports for brain development in kids and for overall health and well-being of adults ? hence the need for idMask2. These sturdy and comfortable activity masks use patented, advanced technology; with electrostatic cloud filters that capture pollution particles from PM2.5 down to PM0.3, with very little breathing resistance. They are ergonomically designed, with a superior silicone seal to fit well on the user's face. The masks filter out 95 pc of particles and the large surface area of the filter aids in comfortable air flow," said Nirvana Being Founder Jai Dhar Gupta. The light weight mask uses a hard-rugged plastic cover that is shatter resistant, with a tight airlock, and replaceable filters. The unusual shaped mask is easy to wear with adjustable elastic straps. "The patented 3-layer facial seal technology assures a comfortable air tight seal which is the highlight of this product. The velvety soft, thin and flexible silicone facial seal easily adjusts to the facial movements. It assures natural and comfortable breathing even as the user talks without compromising the air tight seal. The bright color range used for the masks and the straps give it a sporty and trendy look," added the founder. Though these masks are for everyone, they are devised especially for use while engaging in intensive activities like running, bicycling, soccer, tennis, cricket, golf or any other active sport, given their excellent performance. 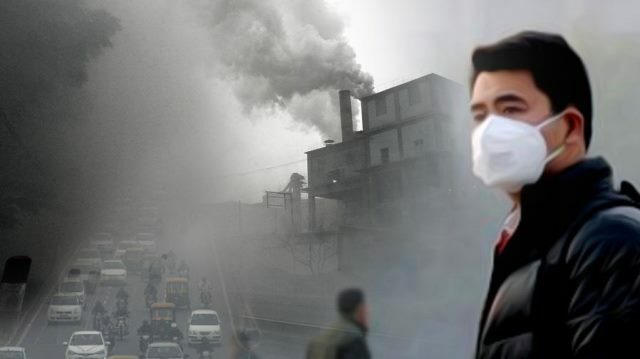 Besides ensuring protection from all air pollutants, these masks are extremely convenient to wear. The mask sits off of the user's face so there is no lung restriction as there is a pocket of air inside the mask that's already filtered.The masks are available in three sizes i.e. small for children, medium and large for adults. They can be worn with or without a shield and have replaceable filters. The recommended filter life is 6-8 weeks if used for an average of 1-hour daily for sport/activity. The masks and accessories are available in various combinations; the mask is priced at Rs. 3,000, the mask and filter set (with 4 filters) costs Rs. 4,000 and with the shield the cost is Rs. 4,900. The shield and mask combination costs Rs. 3,800.